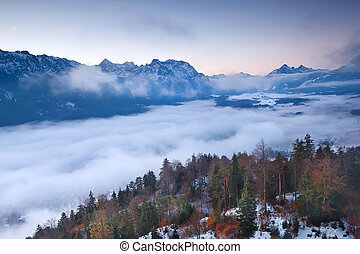 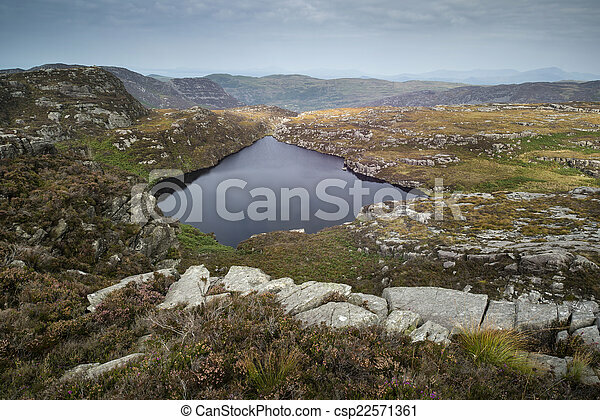 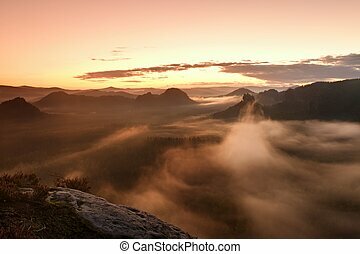 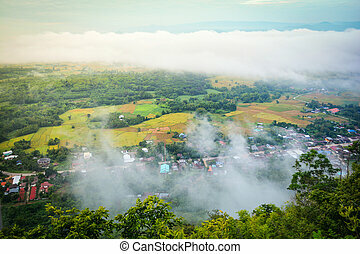 Landscape view from top of mountain on misty morning across countryside. 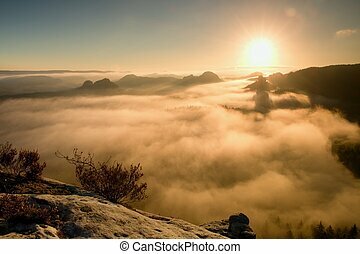 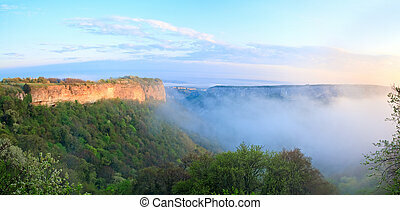 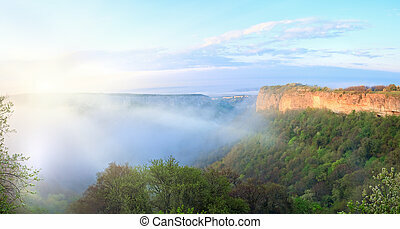 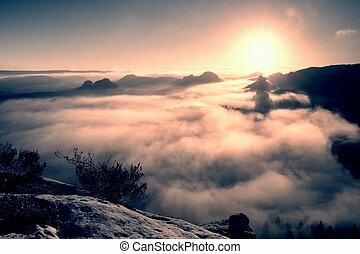 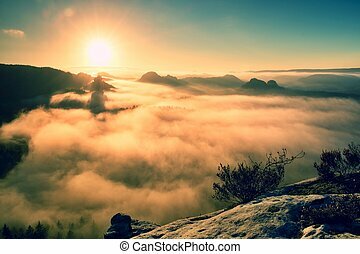 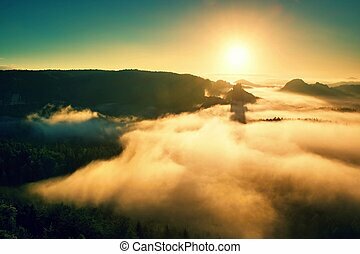 Morning misty view from top of Mangup Kale - historic fortress and ancient cave settlement in Crimea (Ukraine) in sunshine rays. 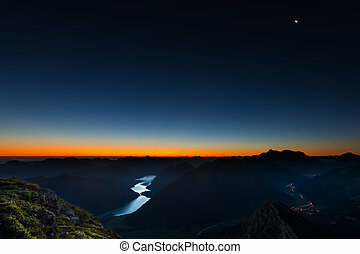 Two shots stitch image. 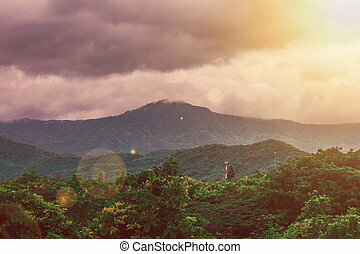 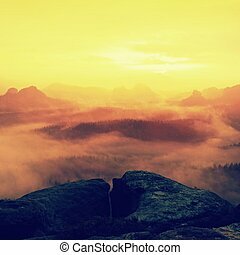 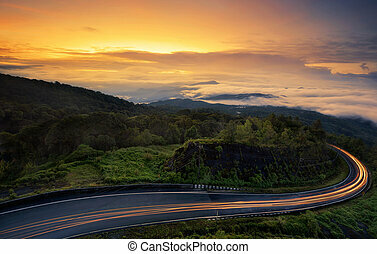 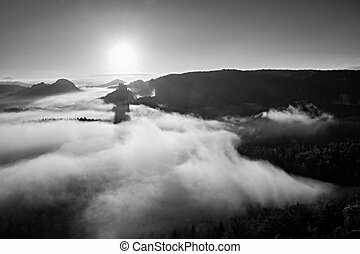 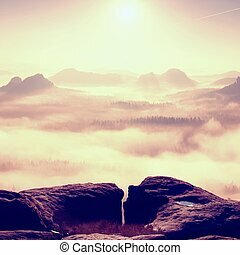 Tropical beautiful landscape view of misty rainforest mountain in cloudy day with sunlight radiate from top left corner.